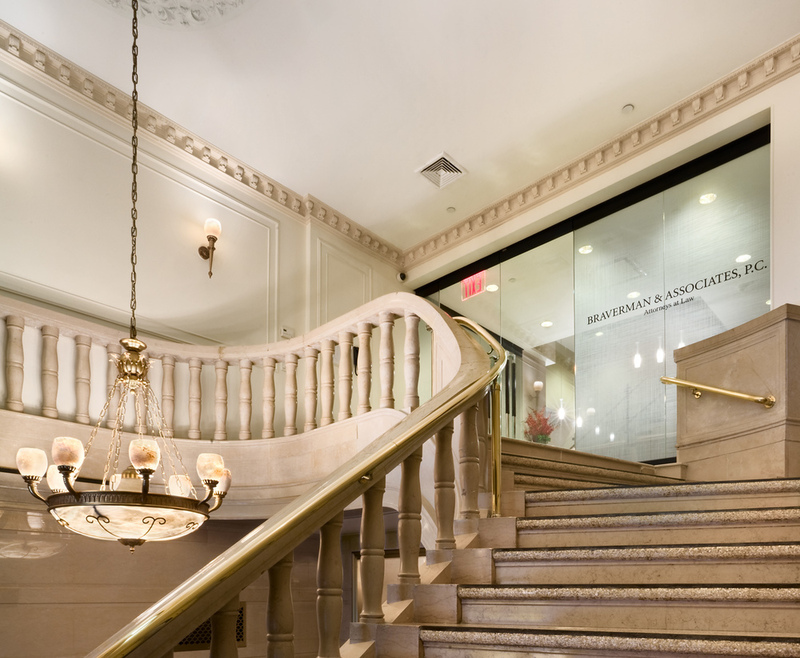 Braverman & Associates turned to TPD to assist with the office expansion at their Madison Avenue location. In conjunction with integrating the newly acquired space, lighting was improved throughout, as was more efficient circulation, and the creation of a core open office area with private perimeter offices. 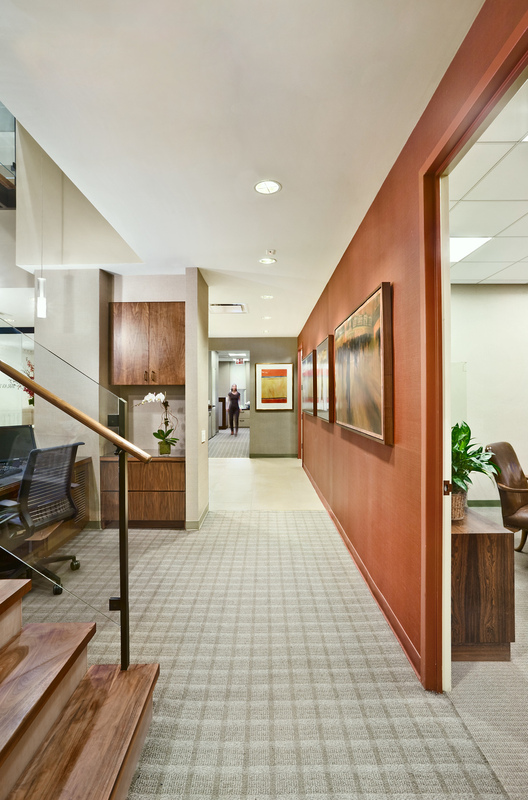 The reception area was relocated on the 2nd floor, linked to the 3rd floor via a new internal stair. TPD used the creation of new stair to create a striking, sculptural element that visually delights visitors upon their arrival. The stair construction (a combination of walnut, glass, acrylic, and steel) is set against a backdrop of custom acoustic fabric wall and ceiling panels, highlighted by decorative pendant light fixtures. The result is a dramatic procession leading up from the office reception area to the expanded 3rd floor offices.